The Majestic Jomtien floor 4, 57 square meters. near Jomtien Beach Road Soi Watbunkanjana 5. 1 bedroom, 1 bathroom, European kitchen, lounge, 2 balconies, view over the pool. 2 air cons, 2 ceiling fans, complete rewire, dimmer switches. 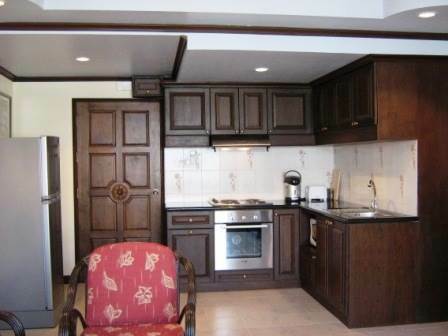 For sale at 2.39 million or rent at 19,000 Baht per month. Foreign ownership. Our reference JTC1032.